The Food Hut returns in what might be the first of an sweeping two-part series as we find ways to trick vegetables into being delicious. Ken and Robin Recycle Audio from the Pelgrane Press panel at Gen Con, regarding yet more Dracula Dossier ancillary items in development, TimeWatch, GUMSHOE One-2-One, and the Worldbreaker epic campaign for The Esoterrorists. Finally we don’t let the historical record get in the way of a good chronological alteration scheme as Ken’s Time Machine gives Leon Trotsky the movie career the world always wanted him to have. It blew up Kickstarter. It slid into Gen Con on a gurney with both guns blazing. 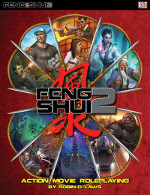 And now Feng Shui 2: Action Movie Roleplaying is laying down the kung fu, the gun fu, and the cybernetic primate fu, and rocketing its way to a retail store near you. Join our friends at Atlas Games in celebrating the long-anticipated release of Robin’s classic game, accompanied by the GM Screen: Fistful of Fight Scenes and Blowing Up the Movies. Ken fans who did not partake of the Kickstarter will want to sink their fangs into the pre-order for the Dracula Dossier from Pelgrane Press, consisting of the Director’s Handbook and Dracula Unredacted. 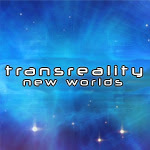 Download your consciousness into the Kickstarter for Transreality: New Worlds, the identity-bending graphic novel from Chris Lackey. Your inner pink gorilla will thank you. This entry was posted on August 28th, 2015 at 8:30 am and is filed under Podcast. You can follow any responses to this entry through the RSS 2.0 feed. You can leave a response, or trackback from your own site. Apropos of Ken’s misspoken mention of grilled cucumbers, I did in fact have a stir-fried dish that included cooked cucumbers recently. It was delicious, indicating that it is in fact sometimes advisable to do something with them besides garnish drinks and make pickles. Though perhaps grilling is still not advised. You sort of tangential touched on it and the commenter above specifically calls it out but pickling is a great way to make veggies taste good and can be dead easy or involved depending on the level of effort you want to put in. I have been eating a lot of a quickly pickled cucumbers using a Sichuan recipe this summer. Also one technique I have had some luck with recent his salting watery veggies before I sauté them and then draining off the water that accumulates. You can’t get a nice browning till most of the water is gone (or so I believe is the case) so pulling off the water before helps with this process. The last few episodes have mentioned that the Dracula Dossier is available for pre-order (though it doesn’t seem up at the Pelgrane site yet) which has lead me to try to figure out how to run Night’s Black Agents in Feng Shui 2. I’ve had good luck in the past with simply boot strapping some version of the Gumshoe skill system to whatever other game we were playing, but what stumps me more is the figuring out what “style archetypes” exist within espionage fiction for the purposes of Feng Shui. Some are easy, the Full Metal Nutball is already basically John Malkovich in RED, and I think the best analogue to omnicompetent Bourne types is the Transformed Dragon, but what other character types would you consider sufficiently distinct to warrant archetypes and/or which ones already live within the current archetypes but just need a stylistic makeover? The Food Hut is always excellent but this one was extra-excellent. I put most of the suggestions to work feeding a group of hungry gamers this last weekend as a supplement to our usual “grilled meats and beer” and they were very well received. I had never considered grilling scallions before, but they were indeed transformed. Mushrooms marinated in bulgoogi sauce were likewise a hit. So this is one vote for “return to the tricking of vegetables into deliciousness” for future shows.